There's no better time than now for making films and videos. The versatility and flexibility of today's digital camcorders gives everyone the opportunity to make great films and videos. Digital technology is improving at a tremendous rate and camcorders and their ancillary equipment have never been more affordable. 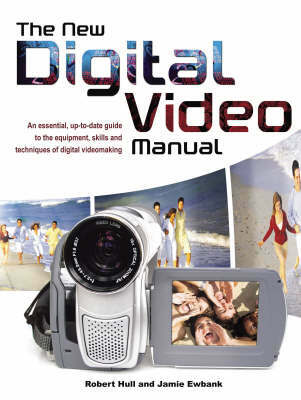 With hundreds of colour images and easily comprehensible diagrams, "The Digital Video Manual" provides an essential port of call for anyone looking to make their first video, or take their production to a new level of expertise. Written in an entertaining and informative style by experienced technical journalists it is detailed but not dull and first and foremost, it aims to inspire.